REVIEW – Recently Harber London introduced their new NOMAD organizer series for Apple’s iPads and MacBooks, to help you keep your EDC gear organized as you go about your day or while on travel. Designed to not only safely transport your iPad Pro, but securely hold your power cords, keys, credit and business cards, Apple Pen, etc. 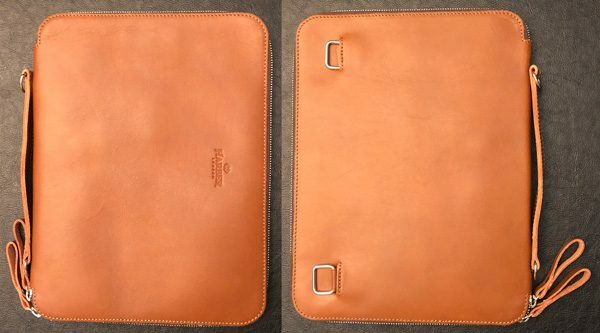 For this review, Harber London sent their medium sized NOMAD leather organizer meant to carry the 10.5″ & 9.7″ iPad Pros. The Harber London NOMAD Organizer is a modern-day tech-clutch designed to carry your iPad and other accessories securely zippered within. The NOMAD collection is handmade in Spain from full grain leather with many pockets to help keep your EDC gear organized and easily reachable. 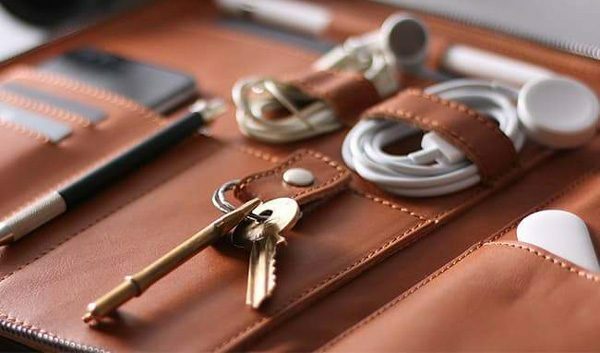 The NOMAD organizer is a modern version of an old-world design. It is a flat, zippered pouch meant to carry your iPad Pro and a decent amount of your EDC gear/accessories. This tech-clutch is relatively minimalistic and can travel with you around the office, on the weekend, or throughout the world. The interior pocket layout is well thought out and designed to keep your tech accessories organized and all together. My 10.5″ iPad Pro slips in and out of the wool-lined main tablet pocket easily. The large slipper pocket has a leather strap that snaps the iPad in place so it can’t accidentally fall out when the NOMAD is open/unzipped. In addition to the main tablet pocket, the right side of the organizer has a medium sized zippered pocket with full spanning slipper pocket below. 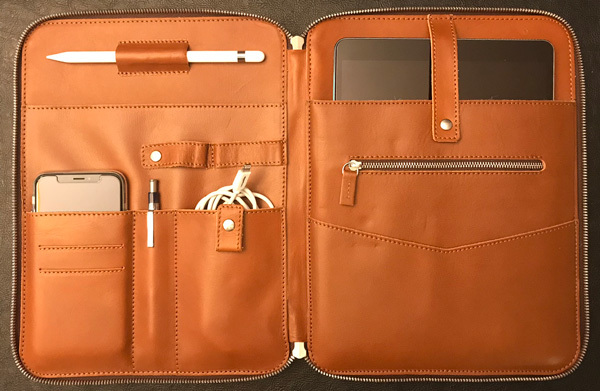 The left side has a spot to securely hold your Apple Pen, another large slipper pocket for paperwork/mail, smartphone pocket, business card and pen slots, plus a few spots for cables and the like. The NOMAD can accommodate either the 9.7″ or 10.5″ iPad Pro and their keyboards. My 10.5″ iPPro and Apple Smart Keyboard fit well inside the main slipper pocket. • Tablet pocket fits iPad Pro 10.5″, iPad (2017) & 9.7″ With/without Smart Keyboard. • Keeps everything organized in one place. • Weight: 1 lbs 6 oz. As I mentioned above, the NOMAD is handmade from premium full grain vegetable tanned leather by Spanish craftsmen. While thinner than the leathers Saddleback and Colonel Littleton use, the NOMAD organizer leather is soft and supple with an exceptional look and feel. In addition to the leather, all of the materials used to make the NOMAD are top quality. The zippers work nicely, the stitching is well done, and the wool felt lining the main slipper pockets is soft and smooth. There are two rectangular rings stitched into the back of the NOMAD that the shoulder strap can be attached to carry the NOMAD over the shoulder. These rings can be recessed back into their respective slots to store them out of the way when not in use. The strap itself is made from the same vegetable tanned full grain cowhide as the organizer but Harber London stitches a layer of wool felt onto the back of the strap. The two layers are stitched together and all the hardware is stitched and riveted for greater strength. As mentioned above, the NOMAD’s leather has a great feel and at less than 3 pounds (fully loaded) carrying it around isn’t much of a burden. Wearing it over the shoulder is even less so. The back spine has a reinforcing piece of leather that can be used as a handle, stitched and riveted to the main body of the organizer for greater strength. There are d-rings looped into the leather on both ends for carrying the organizer as a backpack which I personally never seen doing myself. The NOMAD collection is available in tan, black, and navy with sizing for the iPad mini, 9.7″/10.5″ iPad Pro, and 12.9″ iPad Pro/13″ MacBook Pro. The Harber London NOMAD organizer is very well made by Spanish craftsmen from fine leathers and excellent materials. The NOMAD is designed to securely carry your Apple tablet and accessories with a bit of European style and quality. Though it has good functionality, it does not have the capacity to carry all of my EDC gear within its zippered confines. Overall, the NOMAD is great for carrying your iPad Pro from meeting to meeting and keeping all your cables, Apple Pen, smartphone, etc organized in your travel or EDC bag. Where to buy: You can buy direct from the Harber London web site. Source: The sample of this product was provided by Harber London. 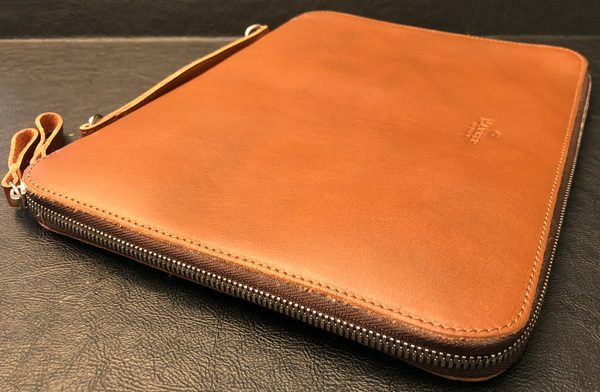 Harber London Nomad Leather Organizer iPad Pro case review originally appeared on The Gadgeteer on July 17, 2018 at 9:00 am.